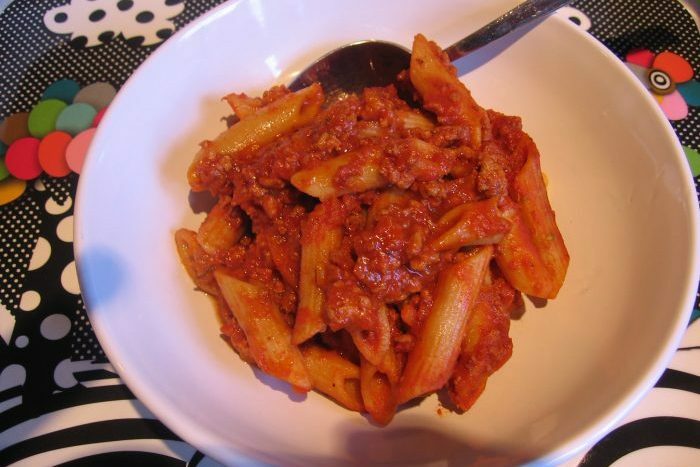 A great recipe to try and tempt fussy eaters! Try varying the veg in the tomato sauce - butternut squash, sweet potato & peppers work well. And don’t forget you can always make a big batch and freeze portions for a quick pasta meal on busy days. Follow a recipe; follow food safety & hygiene rules; tidy away; use measuring spoons and cups; use a jug to measure liquids; chop using bridge/claw technique; use a box grater safely; crush garlic; use a colander; use a hob (with adult supervision). Saucepans, frying pan, knife, chopping board, box grater, wooden spoon, measuring spoons, measuring jug, hand blender, colander. Heat half the oil in a saucepan. Add the chopped onion and cook over a medium heat, stirring often until the onion is soft. Add the grated carrot, courgette and sliced mushrooms and cook for 5 minutes. Add the passata, tomato ketchup, and herbs. Bring to simmering point and cook over a low heat for about 30 minutes. Meanwhile heat the other half of the oil in a frying pan and add the turkey mince over a medium heat, turning often and breaking clumps up with a wooden spoon so it browns evenly. Then add yeast extract and boiling water and leave to simmer, stirring occasionally, for around 20 minutes. In another saucepan, bring a pan of water to the boil and add the pasta. Boil until the pasta is just tender (about 10-12 minutes) and drain off the water using a colander. Blend the tomato sauce until smooth using a hand-held blender. Add the cooked turkey mince and pasta to the sauce, stir well and allow to simmer together for another few minutes. Divide between the bowls to serve. 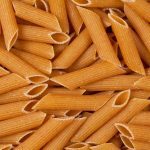 Pasta is low in fat and a good source of carohydrate and fibre. Wholewheat varieties contain 2.5 times more fibre than white, and a diet rich in wholegrain has been shown to lower the risk of diabetes, heart disease and some cancers. 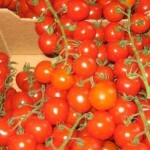 Tomatoes (passata) are really good for us containing a wide range of vitamins and minerals. They also contain lycopene, a type of antioxidant which can help protect our bodies from disease.